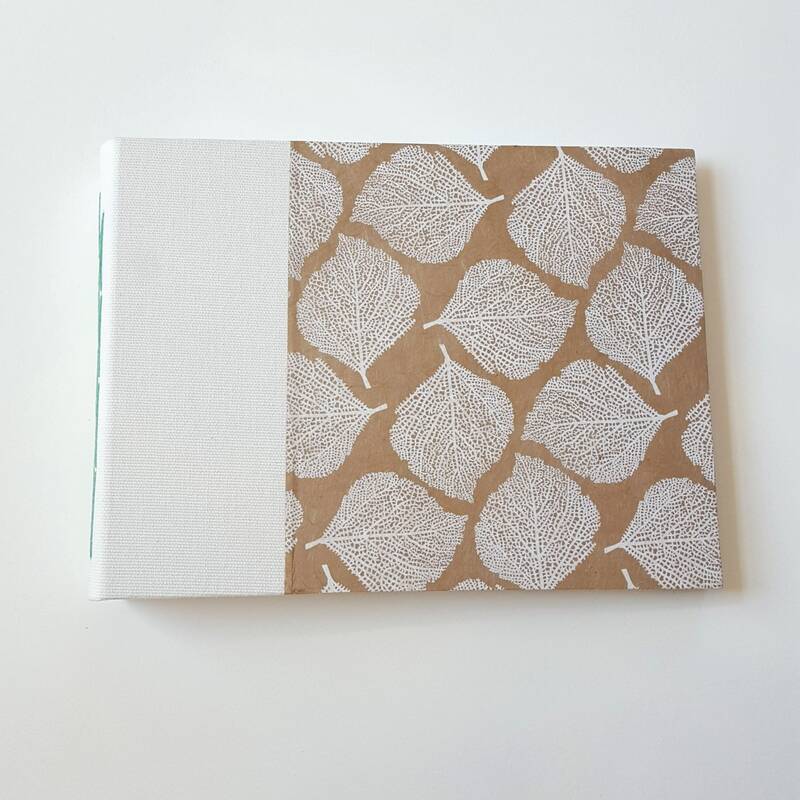 Handcrafted with care and an understanding that this book will hold your most treasured memories. 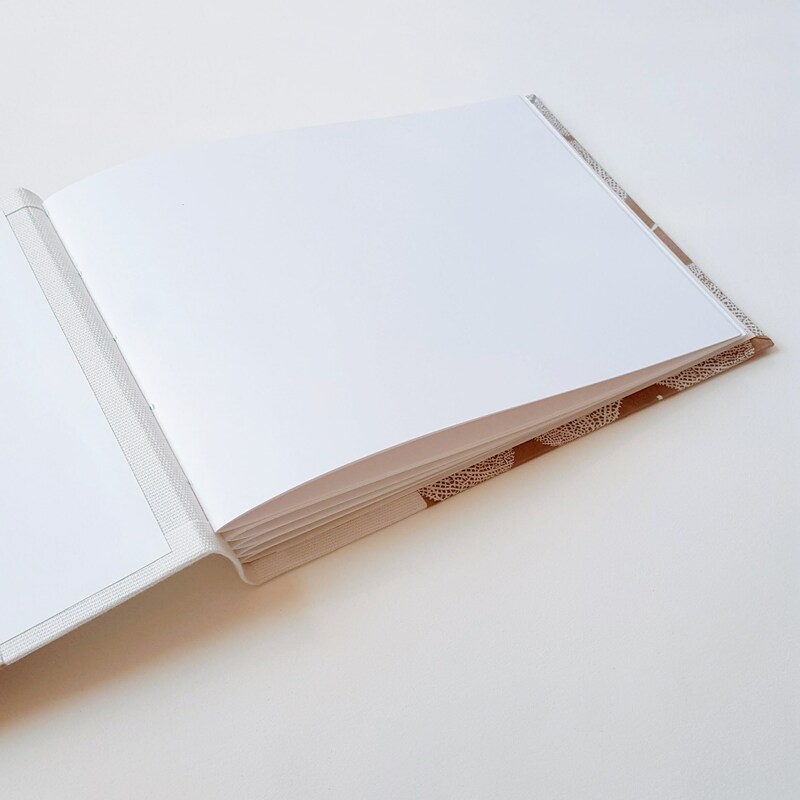 This blank book can be used as a wedding guestbook, a photograph album, a scrapbook or as a sketchbook. 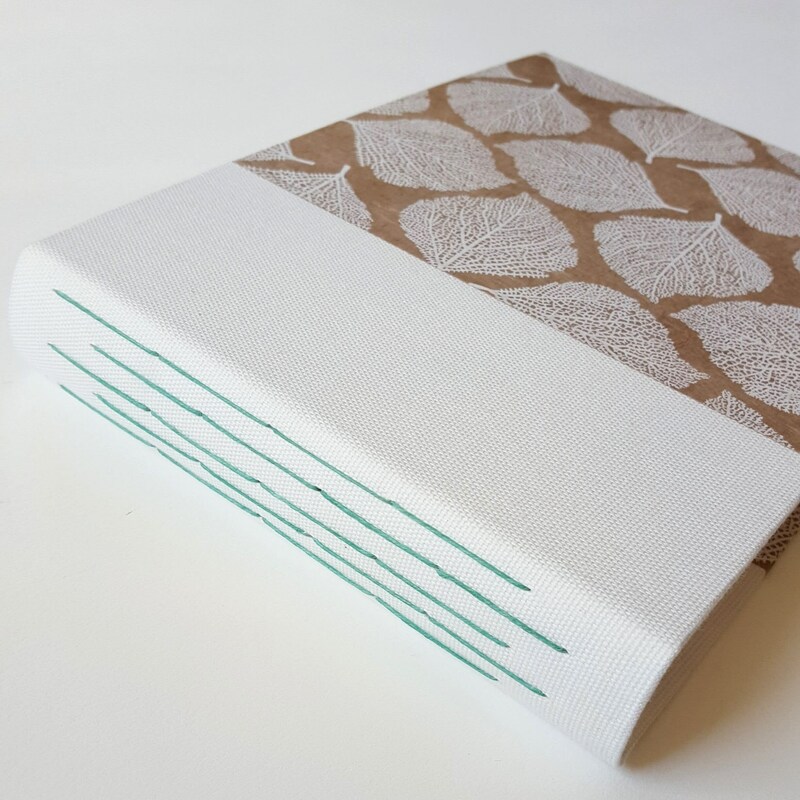 White-veined leaves grace the covers and a coordinating blue-green thread is used on the white cloth spine. This book will ship in 3 to 5 business days. 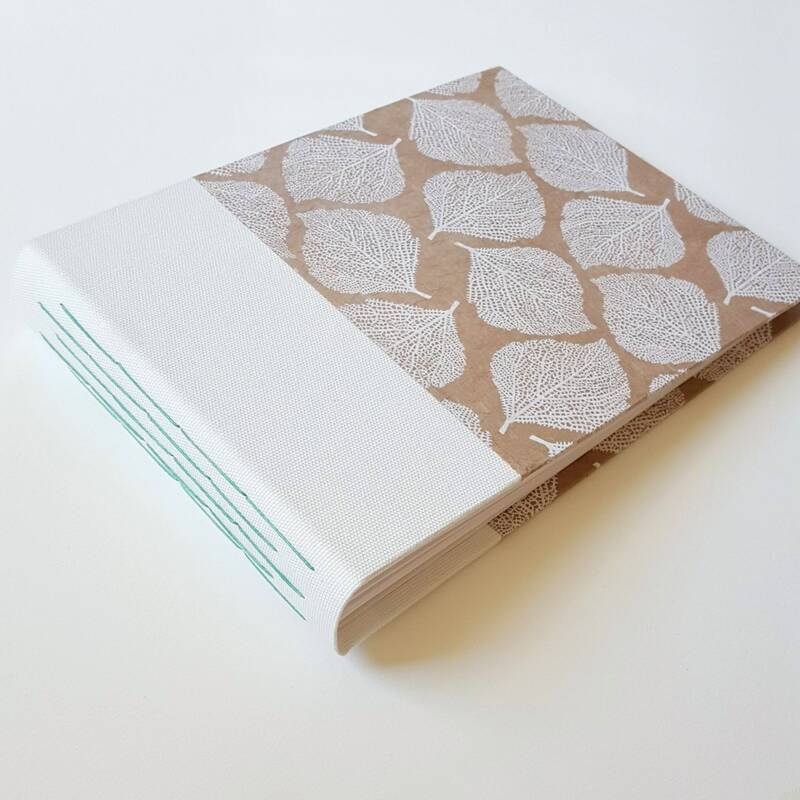 If you need to customize this item (more pages, different cover paper, etc), please contact me prior to placing your order.